With new technology, we can re-think the method of application and the ptosis prop is a perfect example of this. The traditional props have taken many forms, from metal bars to coiled wires and have always been an adaption requiring permanent fixture to the frame. This is no longer the case. We have two methods of applying props. The first, our ‘traditional’ method, is the nylon prop, the second is our new 3D printed prop. Both props are mounted in distinctive ways, so consideration must be made to select the correct prop for the patient. 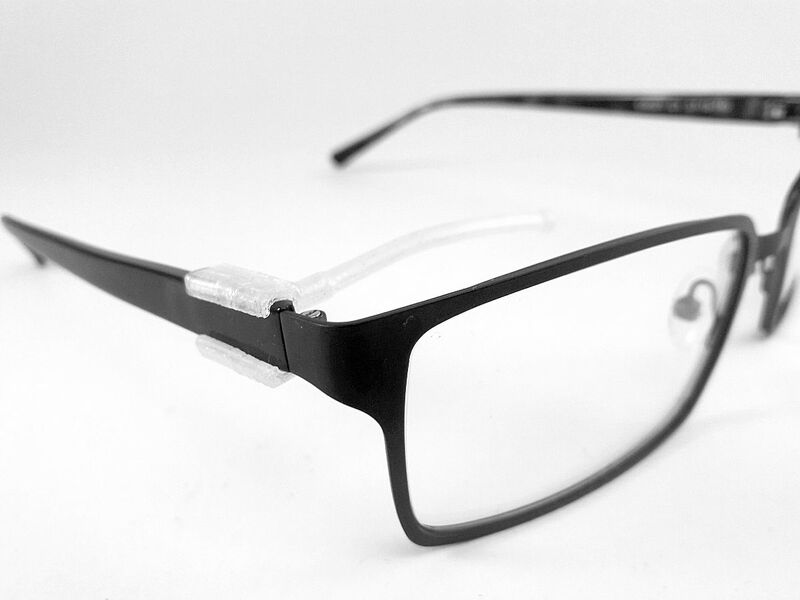 The 3D prop is fixed to the spectacle side by a clasp that can be removed and attached easily by the wearer. 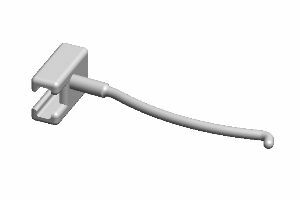 The prop is made from polypropylene, a highly durable safe plastic that allows for repeated application without fatigue. This prop is perfectly suited to a wearer that has good hand dexterity and may not require the props on a full-time basis. We can design these props to fit permanently but the alternative nylon prop may prove a better option. For successful fitting, our technicians will need to have an approximate measurement taken from the back surface of the frame to the fitting position under the eye socket and a corresponding vertical distance, above or below the rim. Measure the approximate distance from the back surface of the frame to the contact point of the orbit. 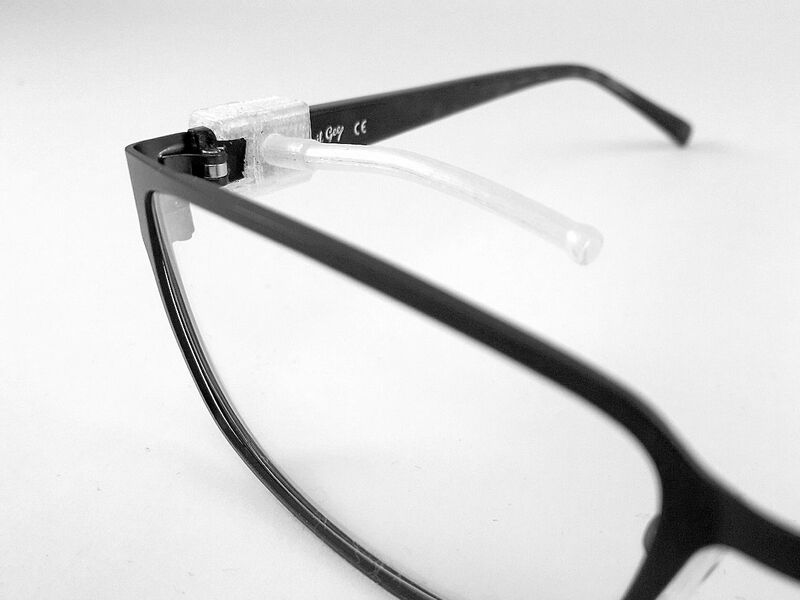 Measure and record the PD and the vertical position of the fitted prop in relation to the HCL or top rim of the frame. Post spectacles and instructions to us and we will process in accordance with your account terms. Please note: The fitted prop will have a compensated fitting height.